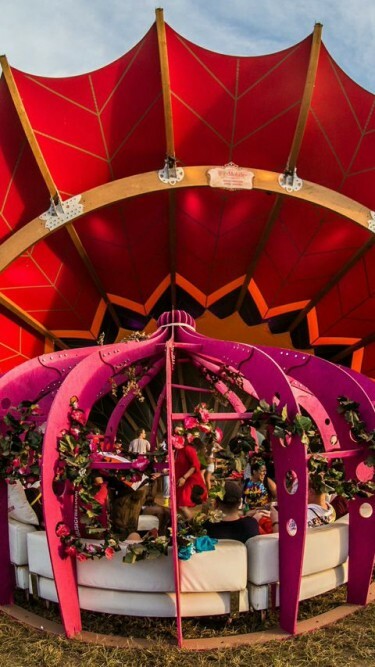 For the second edition of TomorrowWorld in the United States, META.is Talent NKdsgn collaborated with SFX Entertainment and ID&T to assist in the creative direction and fabrication of the T-Mobile experience, which consisted of the #MUSICFREEDOM Sonic Garden and the #MUSICFREEDOM Pool Deck. 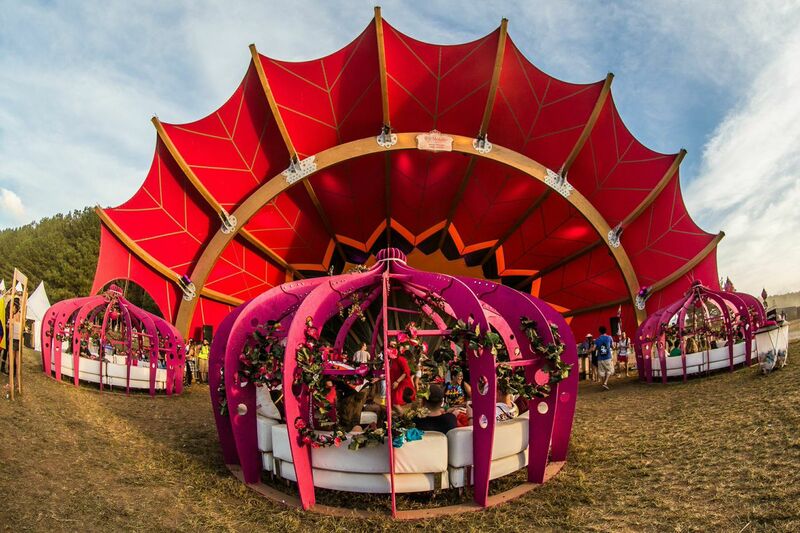 NKdsgn designed and oversaw the fabrication of the custom Seed Pods within the T-Mobile #MUSICFREEDOM Sonic Garden. The Seed Pods were placed in front of a beautiful flower-shaped amphitheater and accommodated small group of friends giving everyone a comfortable place to relax. The T-Mobile #MUSICFREEDOM Pool Deck gave all T-Mobile users a “VIP” experience with shaded cabanas, a fully stocked bar, free giveaways, and excellent views of the stunning main stage. Each day up to 1,000 T-Mobile subscribers unlocked the Pool Party experience, coming up to the deck to take a dip while their favorite DJs played the main stage.